Newdrives is a family run business with over 40 years experience in the design and installation of quality driveways, stylish patios, and all aspects of associated landscaping. 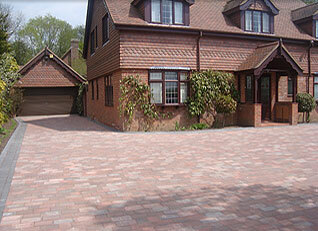 We offer you a free design and planning service to suit your individual requirements. With no deposit or interim payments required, you can rest assured that you will not pay a penny until the work is completed and you are fully satisfied. For the past 10 years, we have been a member of the Hampshire County Council Trading Standards "Buy with Confidence" scheme and the Marshalls Approved Register. We continue to maintain a high standard of quality workmanship and excellent customer satisfaction, which is very important to us. 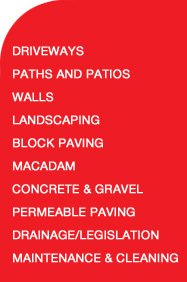 Newdrives a family run new drives business established for over 40 years with experience in the construction and surfacing of roads, new driveway, patios etc in both civil and domestic applications. Based in Farham Hampshire we cover a wide area ranging from Southampton, Portsmouth, Eastleigh, Havant, Hayling Island, Waterlooville, Porchester, Titchfield, Wickham, Romsey, Drayton, Cosham, Hilsea, Emsworth, Purbrook and many other southern areas. 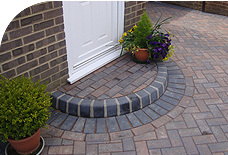 We specialise in the areas of Block paving specialists, Block paving contractors, Local Area, Driveway contractors, Driveway specialists, Driveway Companies, Tarmac contractors, Tarmac specialists, Tarmac resurfacing, Resurfacing Contractors, Macadam, Concrete, New Drives, New Patio, Driveway installers, Paving installations, Patio and Landscaping Contractors, Patio and Landscaping Construction, Paving, Driveway Construction, Marshalls Register/Approved, Buy with Confidence, Driveways, Drives, Patios, Paths, Design and Quality. Newdrives cover most of the South coast including Local, Area(s), in Fareham, Gosport, Stubbington, Alverstoke, Lee-on-the-Solent, Warsash, Locksheath, Park Gate, Portchester, Portsmouth, Southampton all overHampshire. 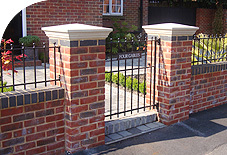 Based in Fareham Hampshire, we have developed an excellent reputation for high quality, reliability and overall service. This has resulted in our appointment to The Marshalls Register of approved driveway contractors and Hampshire County Council Trading Standards 'Buy with Confidence'. All our skilled workforce is fully employed ¨C we do not use sub-contractors, casual workers or agency staff. They receive continual on-site training, to ensure our very high standards of work are consistently met. 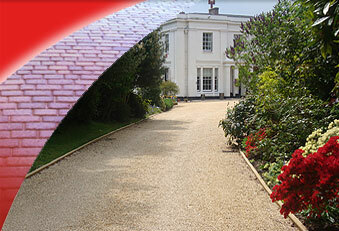 Please see our portfolio of work and we have lots of testimonials of happy clients who love what we do. We aim to reassure our customers that our team will be polite and courteous to you and your neighbors and will act in a professional manner at all times. There are no 'High Pressure' Sales! 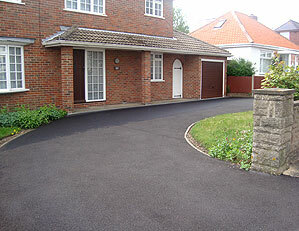 We guide you through the purchase of your new driveway and offer high quality advice togther with our recommendations on materials. (There are no 'Hidden Extras' or surprises.